Grab attention with credit card flash drive. 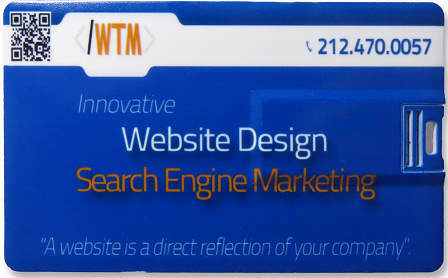 Utra thin business card flash drives for Entrepreneurs to Small Biz. Quality Guarantee, 24 Hour Ship. Ultra-thin, Colorful Credit Card Flash Drive that GRAB ATTENTION. Brand your organization or yourself. Large Imprint area for your photo, logo, artwork, text (contact info). Slip easily in wallet or cell phone cover. Low cost, high marketing ROI as people keep flash drives for months or years and share them with others, exposing your name, your brand. Add 25 cents per unit for two-side. Slim, Full Color Print Credit Card Flash Drive that GET NOTICED Large Print area for your photo, logo, artwork, text (contact info). Slides into purse, wallet or cell phone cover. Low cost, high marketing ROI as people keep flash drives for months or years and share them with others, exposing your name, your brand. Single side print. Add 25 cents per unit for two-side. Get a Free Quote for credit card flash drive or call us direct at 813-444-9626 for more information.